In early 2015, an ongoing slump in oil prices had experts discussing whether the decline was structural or cyclical in nature. Later that year, headlines announced that sovereign wealth funds managed by oil-rich countries were selling some of the assets in their portfolios, possibly in an attempt to fill gaps in national budgets hit by low commodity prices. Conversations about diversifying into non-petroleum–based sources of revenue had been ongoing in the Middle East and North Africa (MENA) region for some time, but at the start of 2016, Saudi Arabia announced that it would consider selling shares in the state-owned Saudi Aramco oil company. 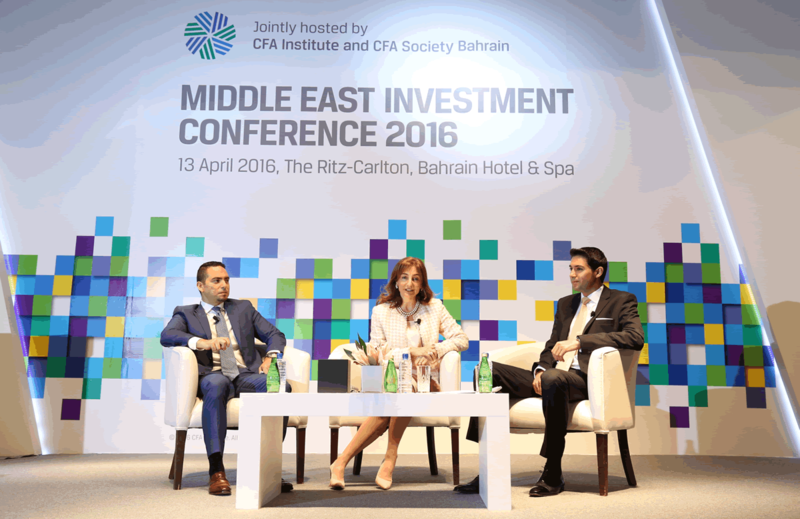 When more than 300 investment professionals gathered in Bahrain for the 2016 Middle East Investment Conference, discussions around new drivers of economic growth, transitioning away from oil production, and increasing entrepreneurship and the growth of small and medium enterprises had gained greater relevance. At the conference itself, speakers addressed the region’s economic issues directly. Yousef Abdullah Al-Benyan, the vice chairman and CEO of SABIC, discussed how the private sector can play a role in generating jobs for the region’s growing population. Florence Eid-Oakden, CEO and chief economist of Arabia Monitor, talked with Fadi Al Said, CFA, director and portfolio Manager at Lazard Gulf Ltd., about the region’s changing economic foundations, including the challenges and opportunities presented by increased volumes of trade with China. And Martyn Davies, managing director of emerging markets and Africa at Deloitte Frontier Advisory, revisited some of those ideas during his presentation discussing the Africa-Arabia-Asia arc economy. Chester Santos memorised this immediately. I only remembered the 1st 12 digits 🙁 and forgot it now too. Changing Economic Foundations in the GCC–What Will the Next Ten Years Bring? Florence Eid-Oakden, CEO and Chief Economist, Arabia Monitor · Fadi Al Said, CFA, Director, Portfolio Manager/Analyst, Lazard Gulf Ltd. This article originally appeared on the Middle East Investment Conference blog.